The only thing cooler than a Lexus LC coupe is one without a roof. 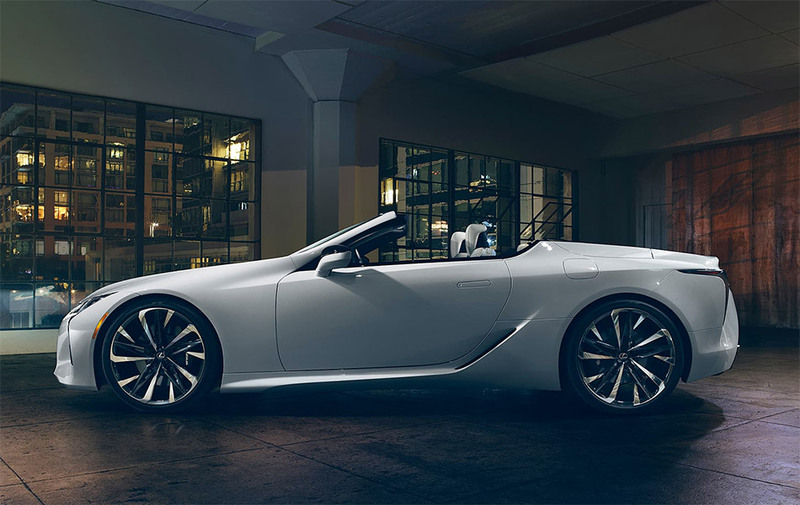 The Lexus LC Convertible teased with its top down recently at Detroit's North American International Auto Show, with the carmaker hinting that it's a concept that may very well make its way to the production line. If it does, expect it to be powered by the 5-liter V8 or 3.5-liter hybrid V6. We can't wait.